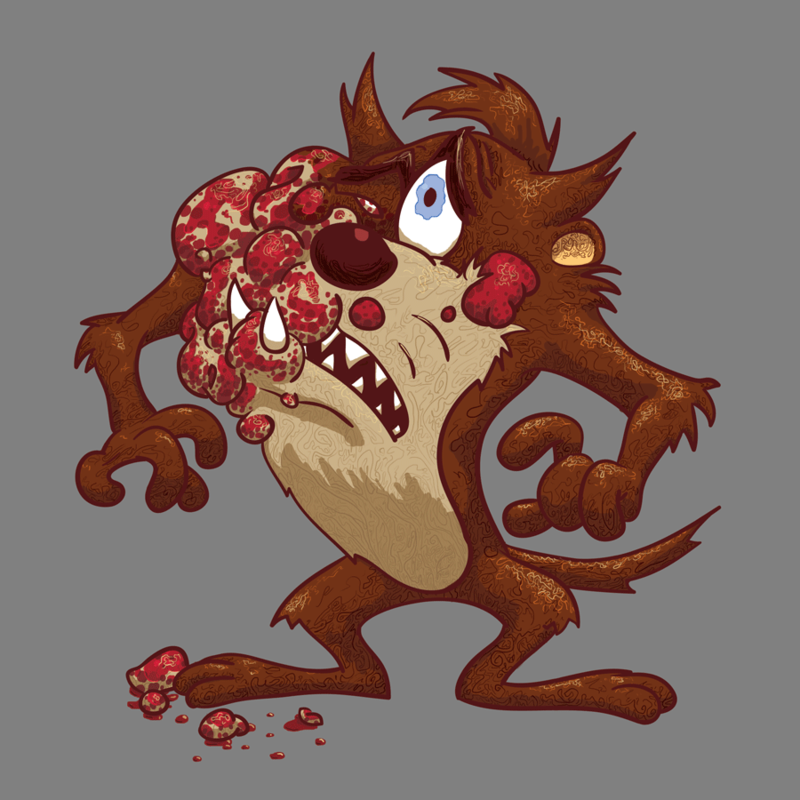 Or rather, another tasmanian devil put his cancer in Taz. About ten years ago the first cases of Devil Facial Tumor Disease were documented, and as of this year it has affected over 60% of the Tasmanian Devil population. It is, in essence, contagious cancer. Devils like to bite each other. All the time. When mating or fighting or for no reason. At some point one of the devils happened to develop cancer, as all organisms do from time to time. This sick devil proceeded to bite the face of another, and his tumors BROKE OFF in the facial wounds. Because the devil population is small and not very genetically diverse, the new devil’s body did not identify the cancerous cells as foreign, and they took root and grew… until they were large and fragile enough that they broke off in the wounds of another devil. Thus spread DFTD, overwhelming the majority of the devil population. Already devils are adapting; the females are reaching maturity faster than ever to compensate for shortened lifespans. However, things look grim. Devils will likely become extinct in the next few decades without major efforts on our part. They will join their cousins, the tasmanian tigers, as well as the thousands of other species that have gone extinct in our Holocene epoch. Hopefully the Dodo has room for Taz at Wackyland. Ooh, got a touch more press at the ol’ library, even though I’ve moved across the country! You are currently browsing the Arius Eats Crickets blog archives for October, 2010.